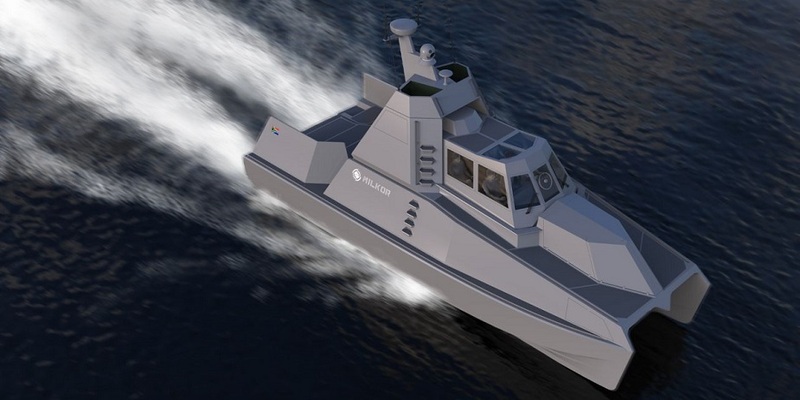 NavyRecognition brings us a report of a proposed craft based on an innovative full form, a hydrofoil assisted catamaran. There is more info on the design from the originator here. They claim a 54 knot top speed. They also claim five days endurance, but it doesn’t look like that is a reasonable expectation for normal operations, since it has a crew of only four and only two bunks. It is only 12 meters (40 feet) long with a beam of 4.8 meters (15.7′). Still this new tech is not just vaporware. 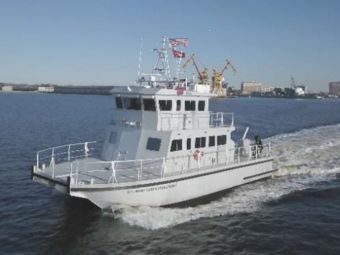 The Corps of Engineers has taken delivery of a survey vessel using this technology, S/V Ewell. All aluminum S/V Ewell has a 61 ft 4 in length overall and 24 ft beam. Like most aspects of Naval Architecture, there are compromises. This hull form is for vessels that can be kept light and will spend a lot of time at high cruise speeds. A final note: The MILKOR design includes a 40mm grenade launcher as its main armament. Having tested a 40mm grenade launcher as a naval weapon, I found they are unsuitable for use against another vessel. They might be OK for laying down suppressive fire against an enemy on shore, but their long time of flight and high trajectory means they are very inaccurate against moving point targets.